are the best parts of the island to view the sunset. 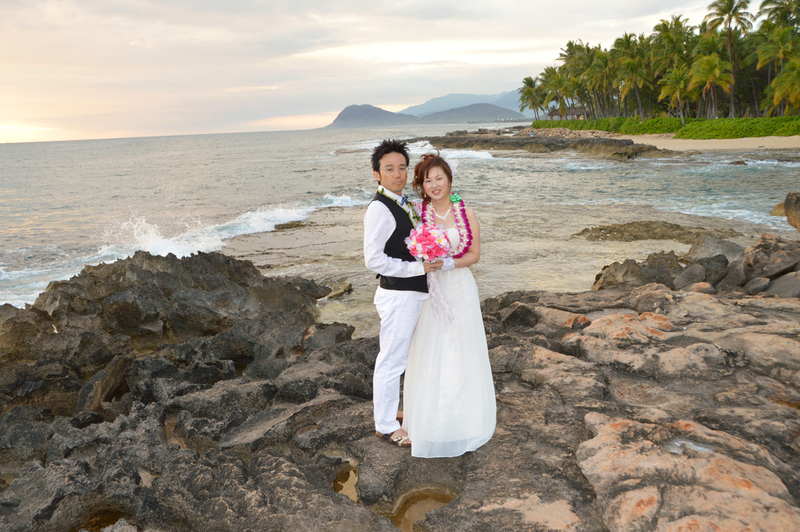 The flowers add a kiss of color to the wedding photos. 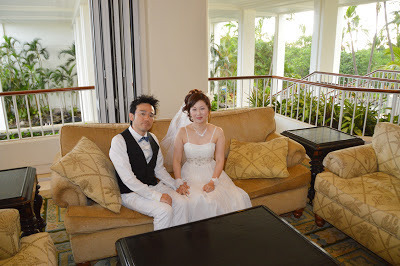 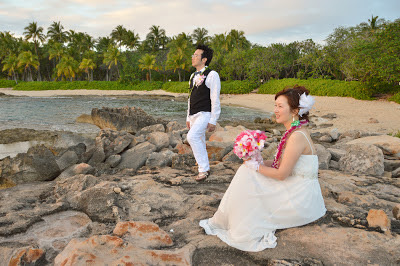 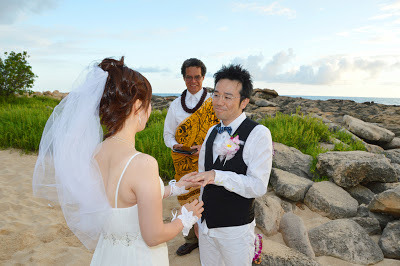 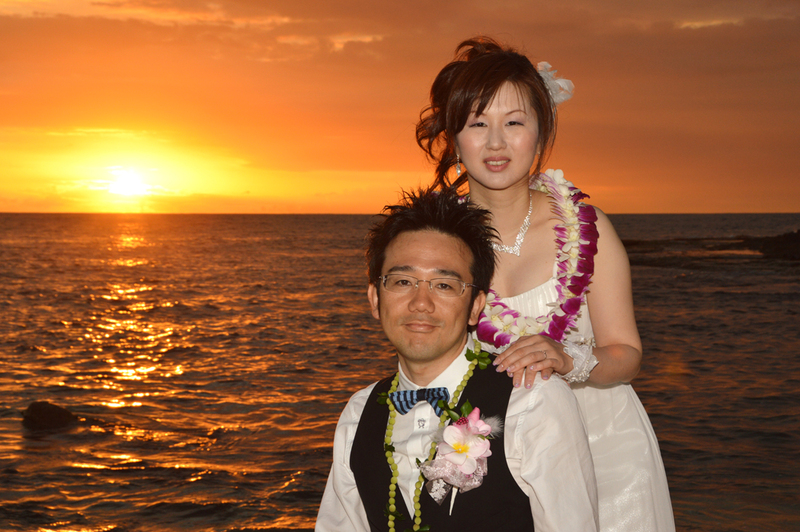 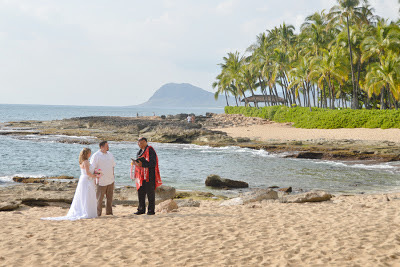 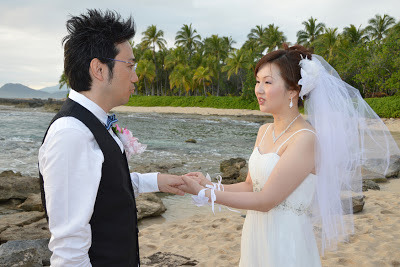 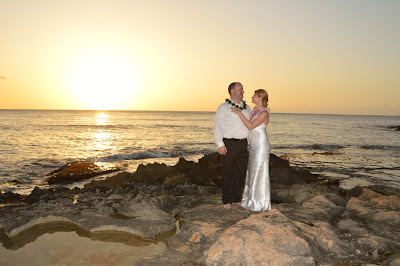 Takashi & Mayumi get married at Ko Olina Beach on April 30th, with Rev. 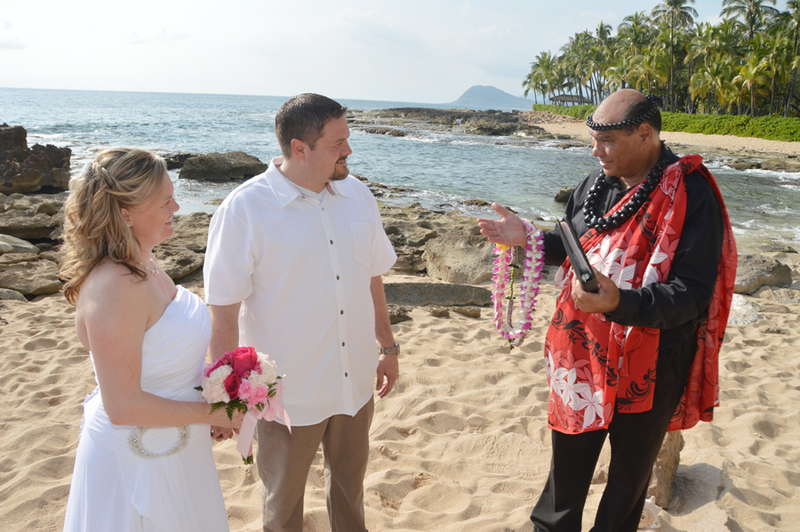 Kimo officiating and Photographer Robert shooting photos. 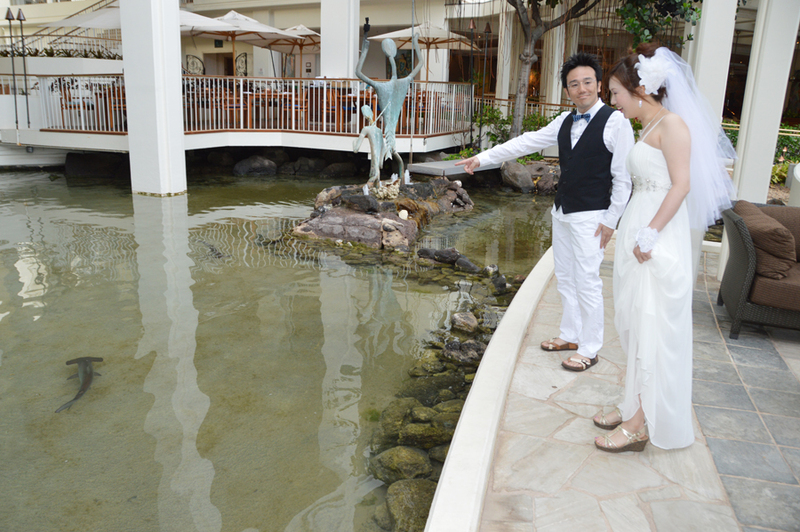 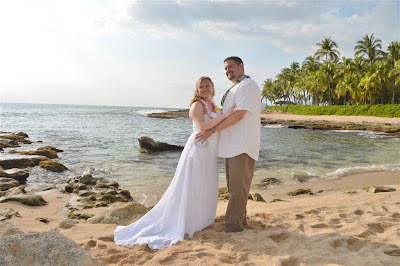 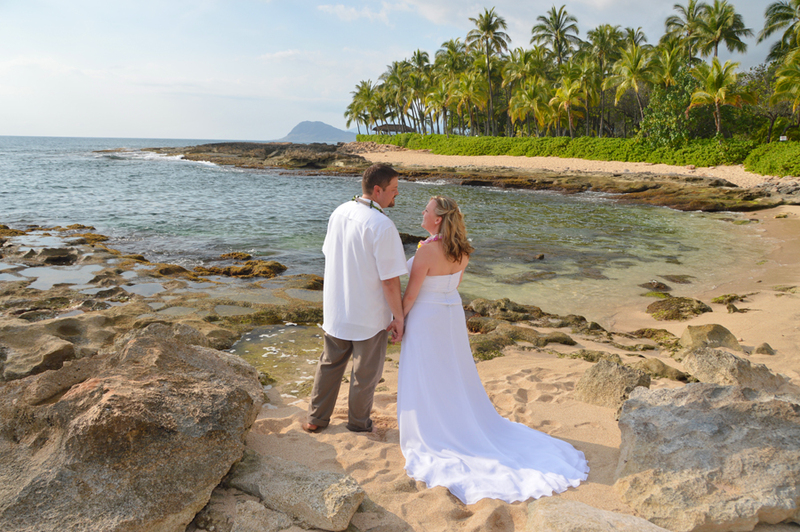 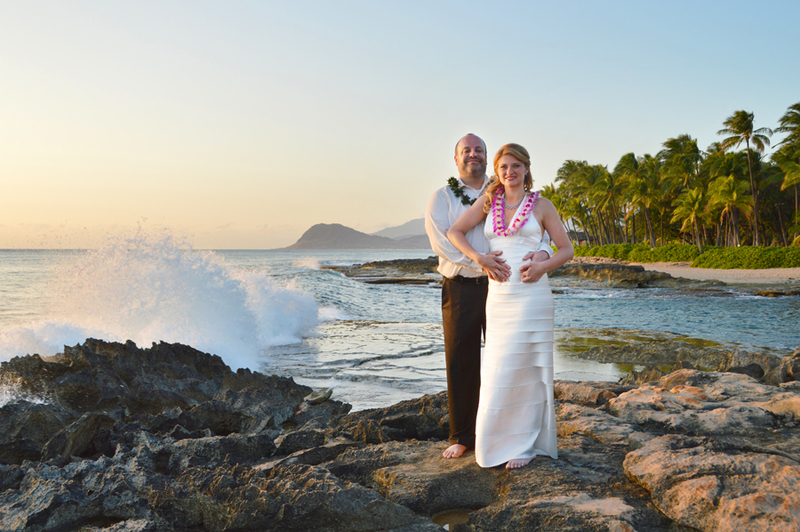 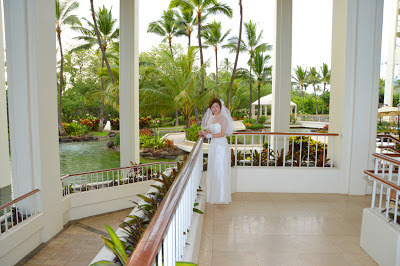 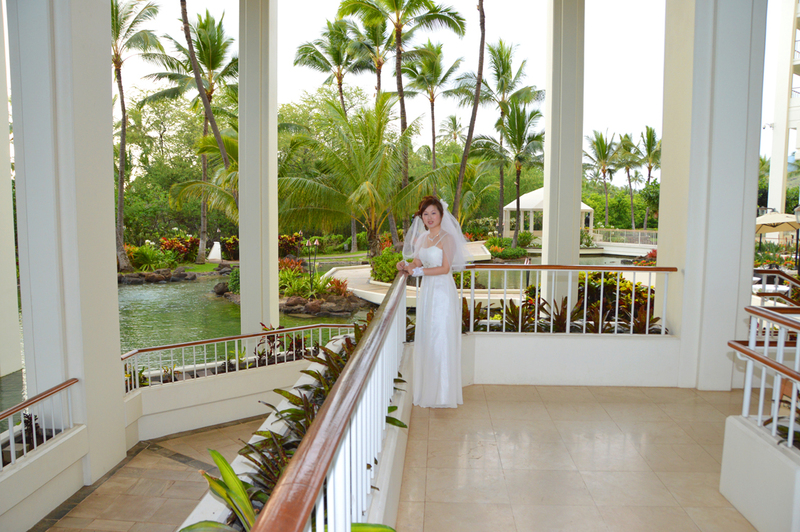 The Bride is surrounded by the beautiful scenery at Ko Olina Resort hotel with garden and shark pond. 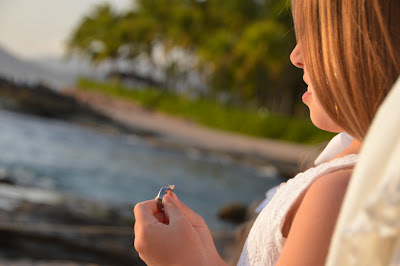 We usually like to meet at the JW IHILANI MARRIOTT hotel lobby, and walk down to Ko Olina Beach from the hotel. This little baby girl was so quiet during the ceremony, not even a peep. 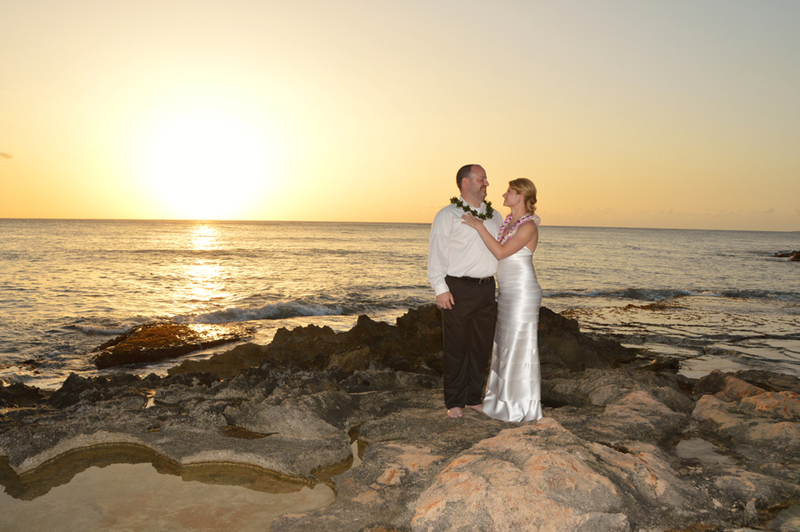 Lovely day at Ko Olina Beach, just right for some great sunset photos. 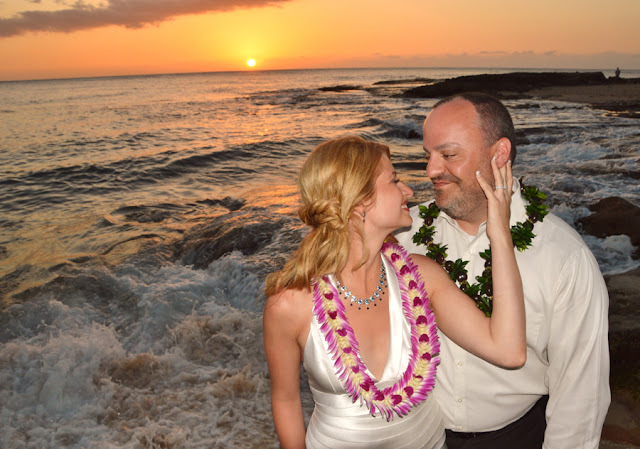 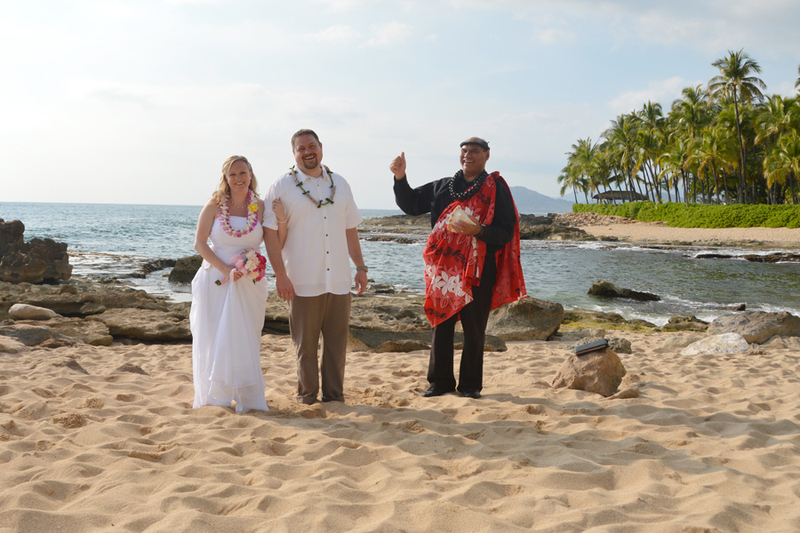 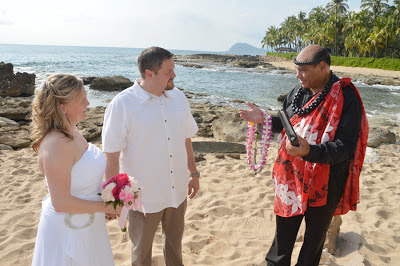 James & Kansas renew their Wedding vows at Ko Olina Beach. 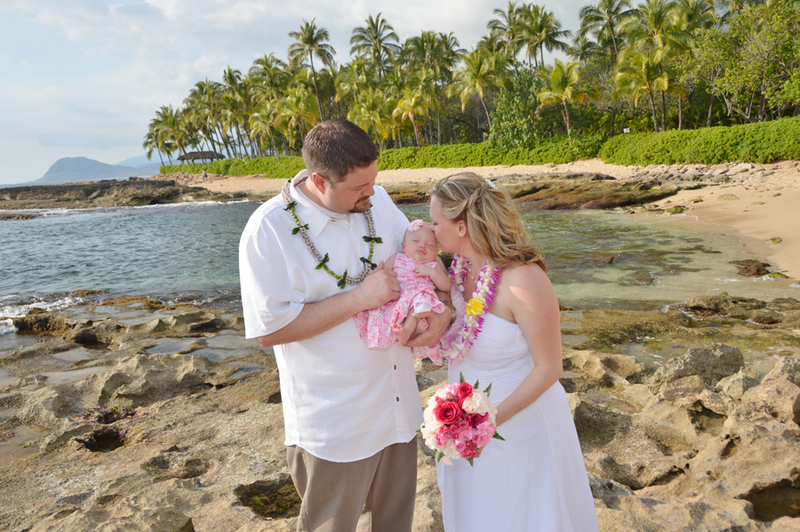 Cute little "Bridesmaid" holds the rings.